For NEW 2014-UP GM1500 4WD with Cast Steel Factory UCAs ONLY. Max Lift - 4.0"F/1.75"R - Max Tire: 33". 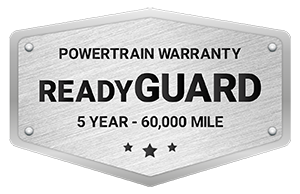 Not for use on pre-2014 GM 1500 trucks. 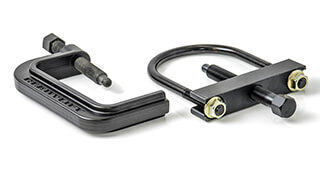 If it needs it… Its in the boxDoes Not Work With AWD Denali Trucks. 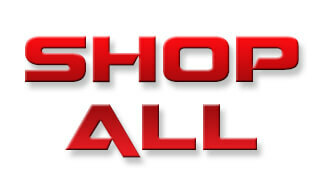 For Trucks with Cast Steel Front Suspension Only. At ReadyLIFT we take our product engineering very seriously. When General Motors first released the 2014 Chevy Silverado and GMC Sierra 1500 4WD trucks we purchased one of the very first truck trucks off the line so that we could engineer the proper 4" SST Lift Kit. The 2014 4WD suspension has many completely new design features. Some of these changes include evolution to an electric steering rack, completely different differential mounting system and an Aluminum control arm design and different spindle than its predecessor. 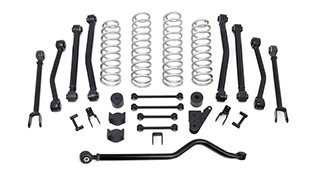 The ReadyLIFT 69-3416 4" SST Lift Kit combines many of the great features of our time-tested and very popular 4" SST Lift Kit for the 2007-2013 trucks with new innovative features. 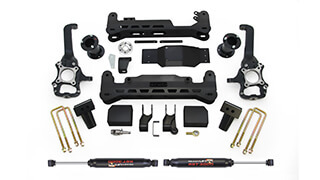 Some of the features implemented into this system include a completely different differential drop mounting system which now utilizes machined billet circular spacers which allows for just the right amount of differential drop without interfering with the new rear-mounted electric steering rack. 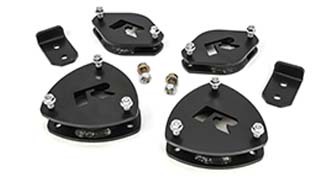 Additionally, a skid plate accompanies our differential drop system. 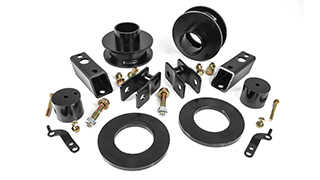 Factory changes to the spindle/upright allow us to now include the super strong heavy-duty ball joints we developed for the GM 2500 HD trucks but designed exclusively for the cast steel suspension on 2014-2018 GM 1500 trucks. 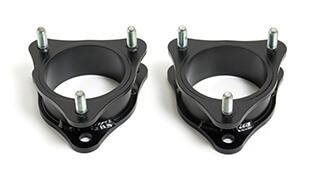 These ball joints are vastly superior and are already installed into the tubular steel Upper Control Arms provided in the 69-3416 kit. 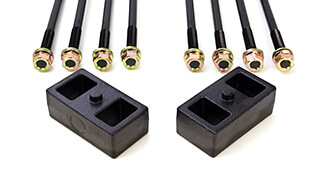 This kit also includes newly designed UCA inner bushings and new washer backing spacer sleeves which greatly prolong the life of the bushings. Our engineering testing has shown this new 69-3416 4" SST Lift Kit is extremely versatile and strong, allowing the customer to install up to a 33x11.50 tire (max) on 5.25" backspacing wheels. NOTE: Must use aftermarket wheels. 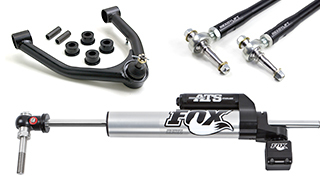 NOTE: TThe 69-3416 kit is for use on trucks with the factory cast steel upper and lower Control Arms. 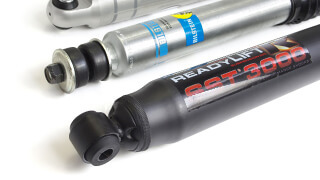 Not for use on trucks with Aluminum or Stamped Steel upper Control Arms. Standard Z71 okay. 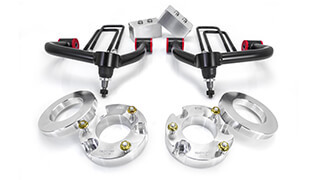 If your truck has Aluminum upper and lower Control Arms, you will want the 69-3414. 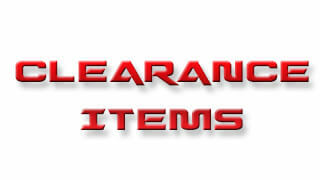 NOTE: Not for use on AWD Denali Trucks. NOTE: Not designed for off-roading purposes.